Virtual Reality (VR) technology arrived in our midst with a lot of promises. With the simulated world involving game characters and game environment widening the scope of immersion, it was conceived as the next big thing of the tech world. But, over time we continued to get used to it, and now VR games and apps no longer seem to stir enthusiasm and interest in the way it used to do in the initial years. In spite of that, it would be wrong to assume that the circle of innovation for VR technology has come to a standstill. VR is still the most happening field of technology with the promise of more well-equipped, and advanced VR headsets are likely to enter the market. VR into gaming apps still has the potential to transform the game-playing experience with more innovative and immersive animations and game environments. Here through the length of this post, we are going to evaluate the market size, opportunity, challenges and tools for VR game apps. At this very moment when we are trying to figure out the future possibilities of virtual reality game apps and the underlying market opportunities, VR game apps are continuing to become famous and expanding its market appeal. As early as the mid-2018, IDC estimated the market size of virtual reality game apps to be more than $9 billion. According to IDC prediction, this market size is about to reach $215 billion by the year 2021. This amounts to a whopping 118% compound annual predicted growth for VR apps. No doubt, a considerable share of these VR apps belongs to VR gaming apps. The particular demographic category of audience VR apps initially were meant for is continuing to evolve. It no longer remains as the technology for action gamers immersed in physical gaming actions in a simulated environment. VR gaming apps are now equally built for a passive gaming experience with simulated 3D visuals replicating our reality. From game apps for recreating the home environment to new games helping kids to explore wildlife and under-sea creatures, the opportunities and scopes for VR games are continuously evolving. VR arcade games: VR arcade games are now enjoying more popularity than other game niches. The arcade games are offering a very important solution to the gamers. Thanks to arcade games, players no longer need to purchase another additional headset. As of previous year, the market of VR arcade games stands at a whopping $286.7 million, and it can grow to a $2.3 billion market size by 2020. A popular and widely acclaimed arcade game that can be named here is Yokey Pokey. Launched in 2017 this game supports as many as 42 different headsets including Oculus Rift, HTC Vive, Playstation VR and Samsung Gear. These game shows how by supporting a multitude of game gears and headsets the arcade game market can expand and thrive. The combination of VR and AR technologies can deliver a more sophisticated and powerful gaming experience. Augmented reality in gaming is all about blurring the distinction of real-life actions and game environment just as we experienced in AR games like Pokemon Go. Virtual Reality together with AR can now deliver more life-like on-screen simulations besides allowing real-life game actions. Just like the gaming laptops equipped to deliver the most simulated game environment, VR equipped smartphones to seem to be the next big thing to widen the horizon of VR gaming. This will also help to address the price constraints associated with exorbitantly priced VR headsets and gears that prevent many players to aspire for VR game playing. Soon, we can see fully equipped VR cardboard boxes or other gears to be shipped with gaming friendly smartphones. 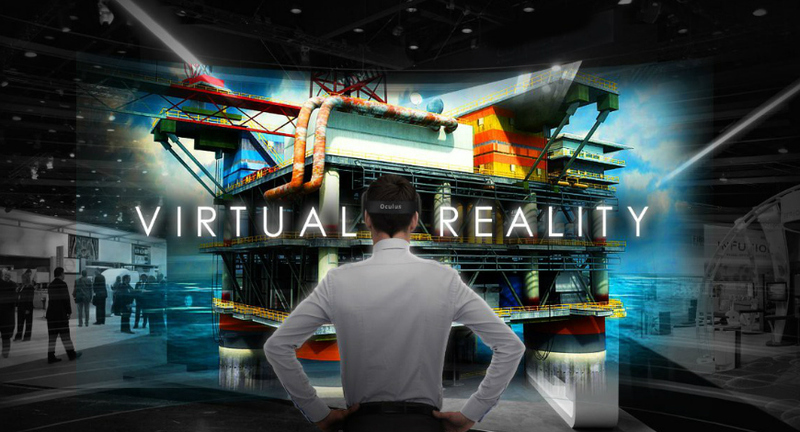 Now let's come to the significant challenges faced by the virtual reality game app market. First of all, VR games no longer look as lucrative as it used to be in the initial years. It lost its crowd-pulling and buzz-creating potential to a great extent. There is also a popular association of VR games with pricy VR headers that remain out of reach for most game players. Moreover, still, now the mobile gaming environment is not fully updated to accommodate advanced VR games. Here are three major challenges faced by most virtual reality games in the market. The biggest stumbling blocks to the popularity of VR games is the highly priced VR headgear and headsets. Even while the game can be played on your mobile screen, having the immersive gaming experience requires an optically mounted headgear like Google cardboard or Oculus Rift. Most of these headgears are not cheap and do not cost lower than $15 - $20. This additional cost gives VR games apps an elitist air not common with other mobile game niches. VR game apps are far less in number than any other game categories simply because the development cost of each game is much higher. Even for a simple VR game, the development budget stands at around $10,000. The budget for a complex and multi-staged VR game can go up to $100,000 or more. The development cost kept both the competition and audience reach for VR games tremendously low. Lastly, VR games are far more battery-power consuming than all other game categories. High-end graphics, visuals and gaming environment are responsible for consuming a lot of battery power. This is something future game developers need to address if they want their mobile VR game to be successful and popular. VR gaming is here to stay and add substantial value to our gaming experience. In many markets, VR is still counted as one of the most promising game development technologies. VR game developers in India and several other countries are pushing the innovations to incorporate VR into game development. But, how long the developers and the device makers take to meet the pulling factors and challenges will be crucial for the growth and prosperity of the VR game app industry in general.